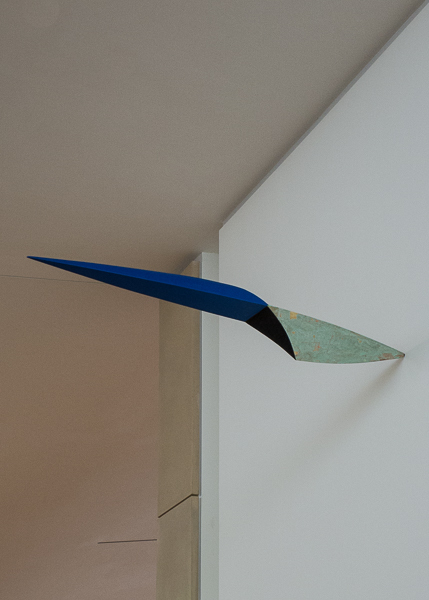 Looking like a spaceship in flight, Bryan Hunt’s Fulcrum flys across the grand stairway and embeds its point into the wall. Modern art is often big art — A challenge for museums, because artists scale their work to extremes and invent new shapes as well. The new building for the Anderson Collection at Stanford University is up to the challenge. Standing on the grand stairway, I was conscious of Clyfford Still’s large abstract 1957-J No. 1 (9.5 feet by 12.25 feet). It floats against the wall in the subtle lighting. The painting dwarfs a woman and a museum guard on the second floor. 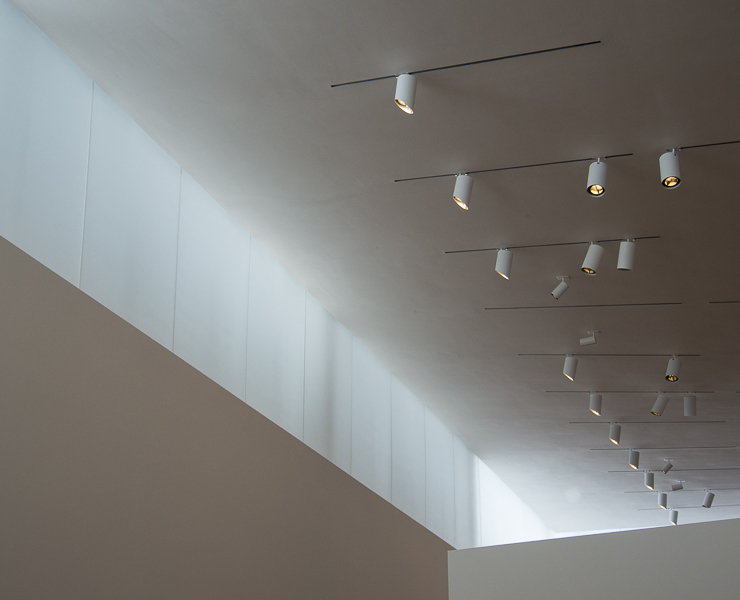 The scale of the galleries at the Anderson Collection gives exceptional views that are enhanced by the diffused lighting and subdued colors of the walls. 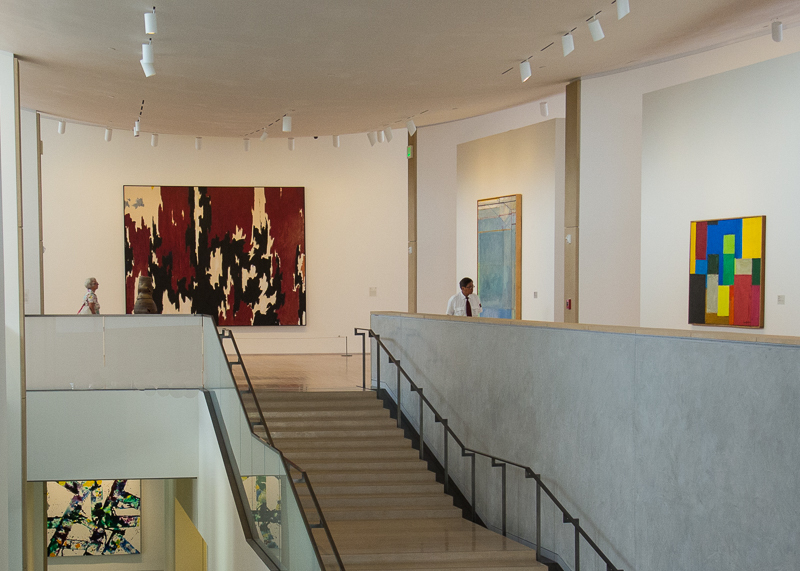 If you’re near Palo Alto, the museum is always worth a visit — Free parking Sat. and Sun., Closed Tue. This is my interpretation of the WordPress Weekly Photo Challenge, Scale. Follow the link to see what other bloggers have posted. This entry was posted in Stanford, Wordpress and tagged Anderson Collection, Photography, Postaweek, Weekly Photo Challenge by carto. Bookmark the permalink.